We provide all kind of wedding flower decoration in and around chennai at cheap rates. Chennai Decorators make your wedding events special and memorable by trendy and fabulous Wedding Decorations. A function is an occasion to meet friends, relatives from different parts of the word to celebrate and have a good time. Our decorations will definitely make your day a memorable one. We will make your dream vision to reality with minute details. 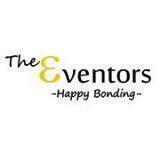 The Eventors conducts classes in Decorators. It is located in Anna Nagar, Chennai. It takes Regular Classes- at the Institute.